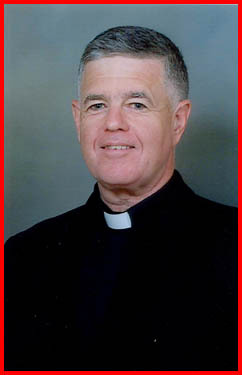 Recently Bishop Daniel Anthony Hart, the bishop emeritus of Norwich, Conn., passed away after a long illness. He had been a priest of the Archdiocese of Boston and for many years an auxiliary bishop in our South Region prior to being named a bishop in Norwich. 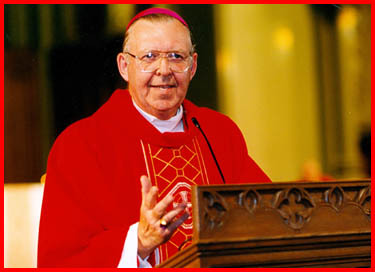 He was very beloved, and Bishop Francis Irwin organized a memorial Mass in Boston. The Mass was held at St. John the Baptist Parish in Peabody, which is one of the parishes where Bishop Hart served as a parochial vicar for many years. 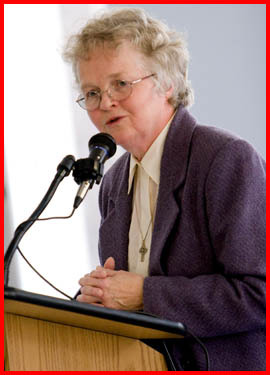 He also served at a number of other parishes in the archdiocese. Many of the parishioners at St. John’s had been parishioners when Bishop Hart served there. Father John MacInnis, the current pastor, hosted the Mass and a reception after, where many of the parishioners shared wonderful stories. They recalled memories of the ministry of this very zealous and kind priest. Members of Bishop Hart’s family were also there. One of his brothers looked so much like Bishop Hart and sounded exactly like him. Another brother who is a doctor, a sister, some cousins and little grandnephews were present as well. 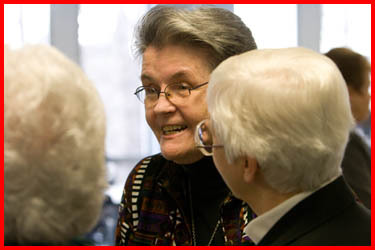 They all seemed very happy that there was a memorial Mass in the Archdiocese of Boston. Then, after the reception, I visited the prayer group that was having a very nice Stations of the Cross in Spanish. 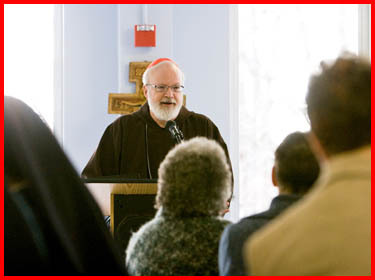 On Sunday, I celebrated Mass for the second Sunday of Lent at Marian Manor, a nursing home run by the Carmelite Sisters for the Aged and Infirm, in South Boston. The Carmelite sisters there do such a wonderful job and I was pleased to see that they have a young novice working with them. 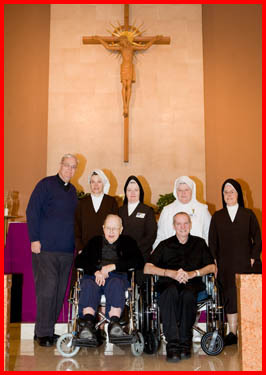 I have been very blessed because Carmelite sisters have been in three of the four dioceses I have served as bishop. So I knew them well in Fall River as well as Palm Beach, Fla. 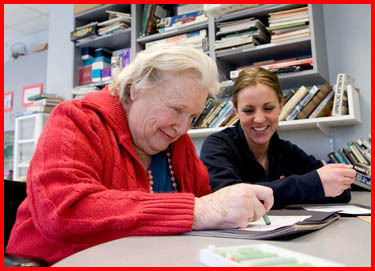 They have a very special ministry, the care for the elderly and infirm. 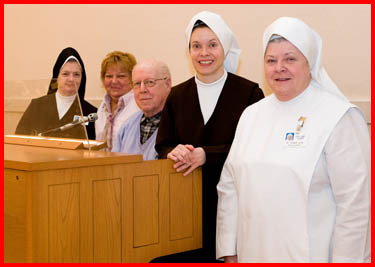 The sisters also run St. Patrick Manor in Framingham, and we are blessed to have their charism as part of our archdiocese. It was nice that a number of people come and accompany their parents to Sunday Mass there at Marian Manor. Some of our priests were also able to attend this Mass. 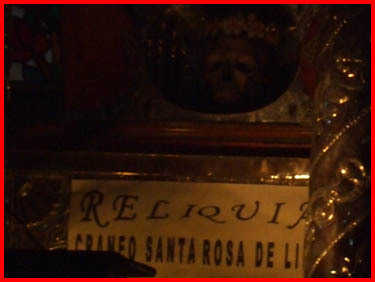 Father Vincent Von Euw is now residing there. He concelebrated from his wheelchair and is doing much better. Also Father Joseph Rothwell concelebrated. 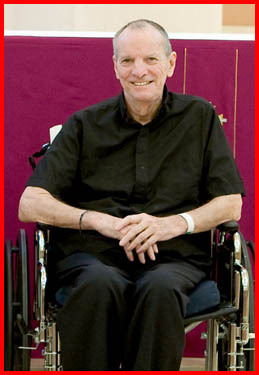 Father Bill Cuddy was also with us. He is a Boston priest, a captain in the Navy and the head chaplain for the United States Coast Guard, which is a very prestigious post. When he is home, he lives with us at the cathedral. So when he heard we were going to Marian Manor, he asked to join us. We also met a woman named Bridget Conroy who is going to be 106 in November! One of her children is a priest and three of her daughters are religious sisters. 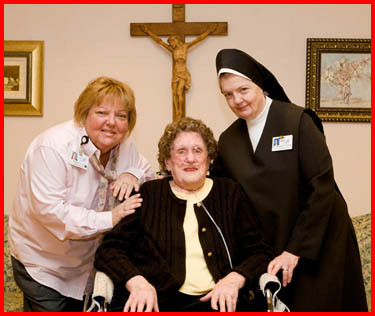 Bridget with staff members Kathleen Lloyd and Sister Margaret Therese. Doesn’t she look remarkable for 105? Bridget is from Ireland, and her mother was an O’Malley. She is in a wheelchair but is very active and keeps busy. She reads extensively, knits and crochets every day. 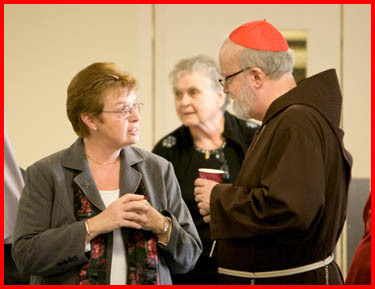 On Wednesday, I met with the women religious superiors in the archdiocese. 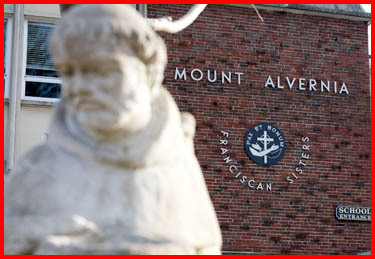 The gathering was hosted by the Missionary Franciscan Sisters of the Immaculate Conception at Mount Alvernia High School in Newton. We had a prayer service, and then I talked with them about the latest things that are happening. I talked about the “Arise: Together in Christ” program, organized by Renew International. 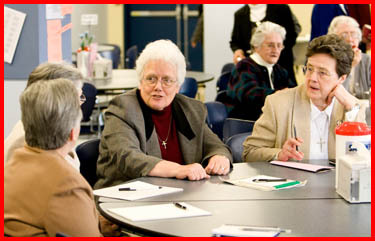 I also gave them an update on the committees that have been set up, our move to Braintree and the vocation situation. 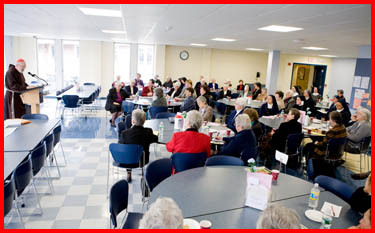 Then, we had questions and answers with the sisters and afterwards Sister Marian Batho, the Boston delegate for religious, invited the representatives from the various communities to talk about their spirituality. 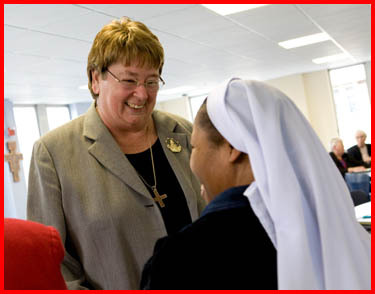 We have 87 congregations of women religious in the archdiocese, with over 2400 women. It was an opportunity for them to get to know each other better and share their spirituality. The Little Sisters of the Poor, the Sisters of Notre Dame de Namur, the Sisters of St. Joseph and many of the other communities have been here for decades. 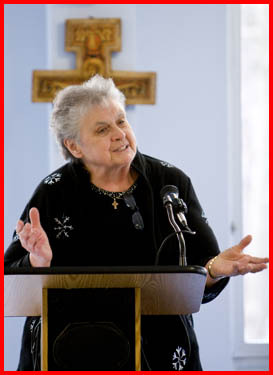 One of the Sisters of Jesus Crucified, which is a tiny Lithuanian community, spoke up and joked with the other women, “We are very proud to be one of the two communities that have their generalate in the Archdiocese of Boston, my community and the Sisters of St. Joseph. We just want to welcome all the rest of you visitors.” She got quite a rise from everyone! This year St. Patrick’s Day falls during Holy Week, and we are not allowed to have the liturgical celebration of St. Patrick during that week. An option would have been to move the feast; however, the official calendar of the Church has already moved St. Joseph’s Day to Saturday, and I was loath to move St. Patrick’s Day to a Friday in Lent. 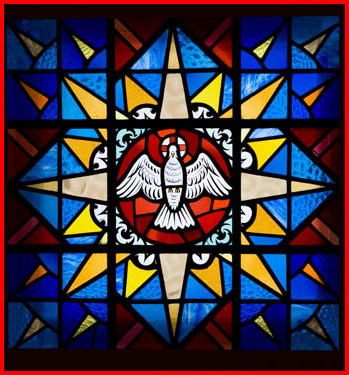 So, what we are going to do in the archdiocese is have a Mass on Monday, March 17, the civil holiday. We will celebrate the liturgical Mass, with its readings and prayers, of the Monday of Holy Week, but at the Mass we will reflect on the life and ministry of St. Patrick. As usual, we will bless and distribute the shamrocks, which St. Patrick used so effectively — as a symbol of the cross and as a symbol for the Trinity. In Massachusetts, where we have the largest percentage of Irish-Americans of any state in the country, St. Patrick’s Day is always a very important celebration — both religiously and civically. As a matter of fact, we are probably the only place in the United States where St. Patrick’s Day is a civil holiday. Of course, this is done by a certain subterfuge. They call it Evacuation Day, but they were looking for an excuse to have St. Patrick’s Day as a civil holiday. Just like every year, we hope to have a nice group of priests and laity joining with us as we honor St. Patrick. 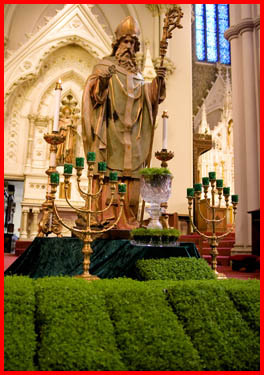 We expect people to come to the cathedral wearing green in honor of the patron saint of the archdiocese. 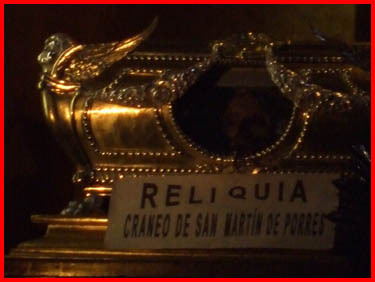 And I always remind people that they should celebrate his feast day whether they are Irish or not. After all, St. Patrick was not Irish. 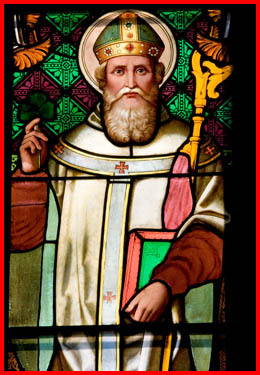 We want to remember St. Patrick as a great missionary. Unfortunately, for the secular world the celebration and the drinking are what people associate with the feast, but we who are believers and are Catholics, need to be reminded of the missionary nature of the Church. 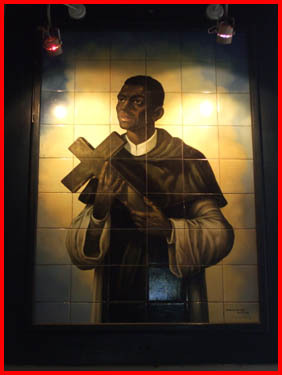 Boston has contributed much to the Mission Ad Gentes, and not just through the 300 priests who have gone to South America with the Missionary Society of St. James. There have been a countless number of men and women religious who have served all over the world, and right now many are still serving all over the world. Even the founders of Maryknoll came out of Boston. We have in our midst a retired Maryknoll bishop from Korea, Bishop William McNaughton. His presence in the archdiocese is just another reminder of this great connection. 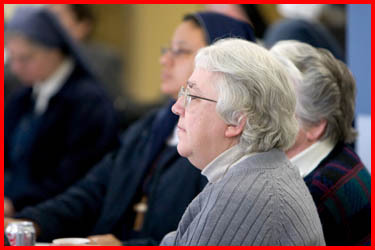 Additionally, at one of our recent Presbyteral Council meetings our new head of the Propagation of the Faith, Father Thomas Kopp, announced that Boston is one of the dioceses that give the most to the propagation in the world. He said that we give more than the entire country of England. 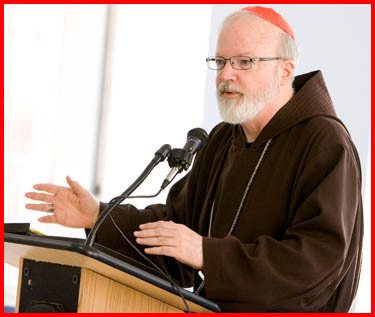 So I said to him as an Irishman who lives in Boston, “I hope you were not surprised by that.” Also, the archdiocese is one of the largest contributors to the Latin American collection the U.S. Bishops organize every year. I know that Father Kopp is anxious to promote the materials from the Holy Childhood Association for elementary school children. When I was growing up, we would get little mite boxes during Lent to “buy pagan babies with.” We laugh about it now, but the money was used to save orphans. Now the Holy Childhood’s efforts are much more sophisticated and put children in touch with children in the third world. This helps our children to be aware of the situation, the needs and the gifts of those children in mission countries. Just as that was part of my generation’s mission formation, I would like to see the Holy Childhood be more of a force in the religious formation of our Catholic children today. The emphasis that Cardinal Richard Cushing gave to the Mission Ad Gentes and the mission appeals that are done, by many of our St. James Society men and others has kept people’s mission conscience very much alive. Sometimes we can become parochial in our pew, but our mission is part of the universal Church, and St. Patrick was the great missionary. We joyfully and gratefully honor his memory and invoke his blessing and intercession for the Archdiocese of Boston as we celebrate our 200th anniversary here as a local church. A couple of weeks ago I met with a group of our seminarians from St. John’s who went to Peru over the Christmas break to visit the priests of the Missionary Society of St. James. 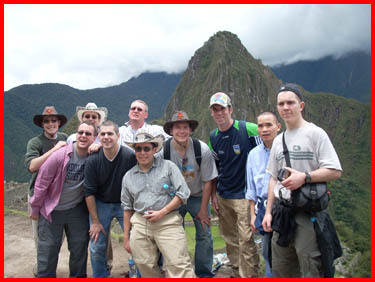 In their trip they were accompanied by two of the seminary priests — Fathers Chris O’Connor and Joe Scorzello. 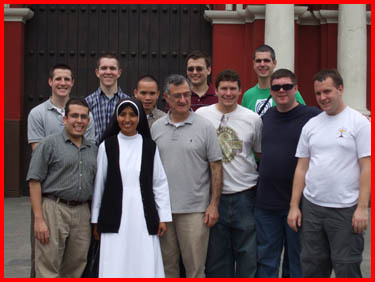 An eleven day trip to Peru with six other seminarians and two of our priest faculty members during this past Christmas break was a great opportunity for us to gain appreciation for the work of the Missionary Society of St. James. 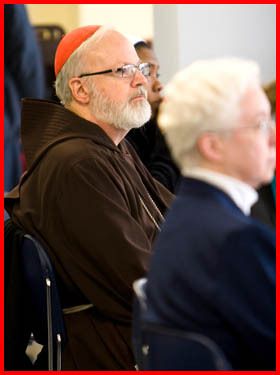 It was made possible in large part through generous donations from many priests and parishes. 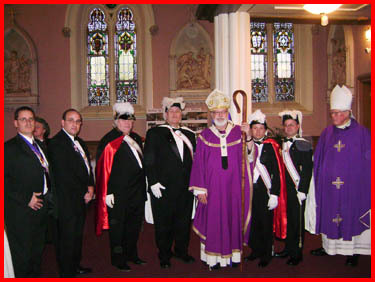 The trip took place a few weeks before the silver anniversary of the Society of St. James. The Society of St. James was begun by Cardinal Cushing. It provided the opportunity for diocesan priests to spend time working in the missions, in order to share the Gospel message as well as to bring the fruits of their experiences back to work with immigrant populations in their home dioceses. This trip was a great blessing for the group from St. John’s Seminary since it provided them with an opportunity to experience the Church living and growing in a developing part of the world, as well as to experience the many dimensions of the work of the Society of St. James. 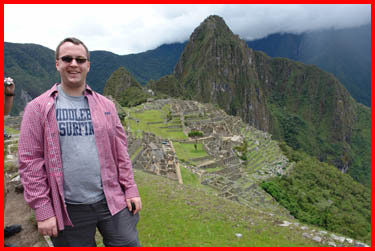 Between our visits to parishes in Lima and Cuzco, we visited Machu Picchu as well as several pilgrimage sites in Lima. 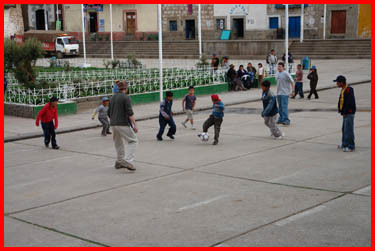 We arrived in Lima on Dec. 27, 2007, and spent some days at the center house of the society. 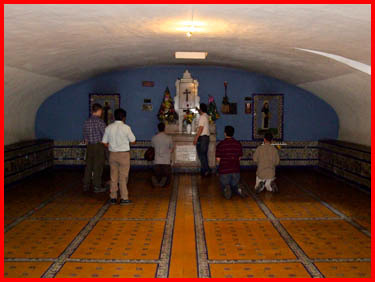 The center house is the central base of operations in Peru for the society, it also provided a place for the priests to gather when they come in from their parishes both for some time of fraternity as well as some rest. 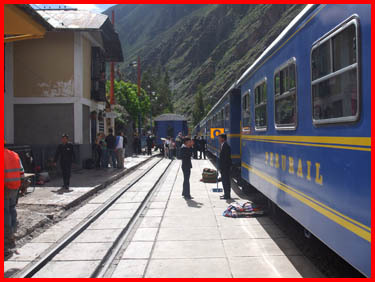 From Lima we took a flight to Cuzco. 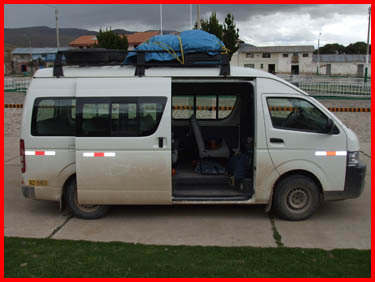 Arriving in Cuzco we needed to spend some time simply relaxing as the drastic change in altitude affects most people because of the lower oxygen level. It forces you to move more slowly, and often causes headaches and other pains. 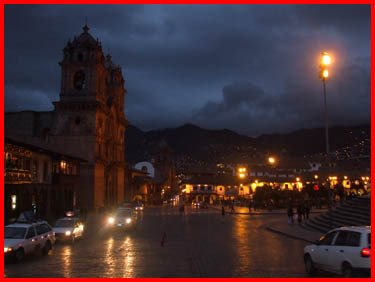 On Dec. 30, 2007 sufficiently rested and having explored Cuzco a little, we left Cuzco at approximately 5 in the morning to head far into the mountains to visit a town named Santo Tomas. This journey should have taken about 9 hours, but ended up lasting 14 hours with some diversions. The road the group was traveling on was not paved and straight like the Mass Pike. 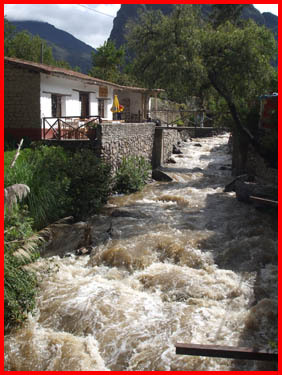 Rather it was a bumpy, narrow one-lane dirt road that criss-crossed the Andes. 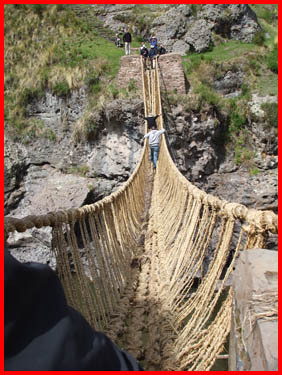 It was a very scenic ride, and along the way we were treated to the sight of many llamas, and the opportunity to cross a traditional Inca rope bridge by foot, but the group was very happy when we finally did arrive in Santo Tomas. 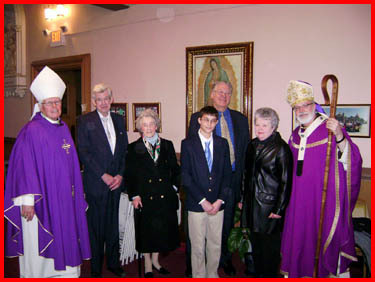 The parish of Santo Tomas has been shepherded by a Revere native, Father Jerry Pashby for the past 15 years. His parish covers a territory as large as all of Eastern Massachusetts minus the Cape and the Islands. His main base of operations centers on a large church, but he is also responsible for the care of many villages, some of which are only accessible by his motorbike, and others only by foot. 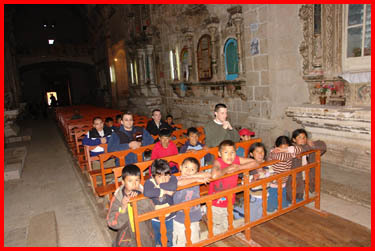 Besides the care of souls, Father Pashby has undertaken many projects which have benefited the people of Santo Tomas. He worked for the chlorination of drinking water to make it safer, he secured the financial assistance of a parish in Germany in order to build a hospital, and he has secured the help of a group of surgeons from Cleveland who come down once a year to perform medical procedures pro bono.. In addition he is currently working to build a school for the mentally and physically disabled of the area. The local community welcomed us into their midst. They cooked for us, joined us for games of soccer, and they also joined us for prayer. The faith of the people was very inspiring. We had Eucharistic Adoration on New Year’s Eve, and though it was unplanned and only announced by the ringing of the Church bells fifteen minutes prior, we were joined by 150-200 locals. 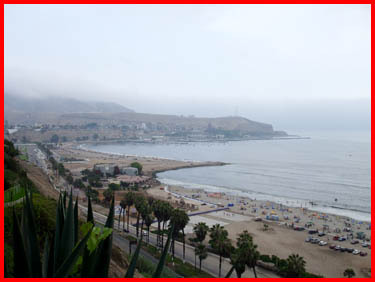 After our time in the mountains we returned to the Center House in Lima, which overlooks the Pacific Ocean. 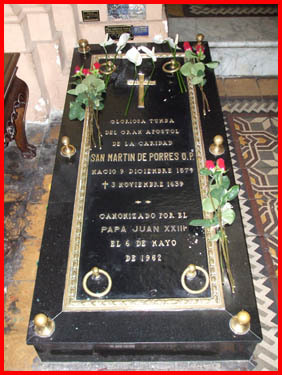 The first day back we toured the cathedral, the Franciscan and Dominican churches, and the tombs of St. Martin de Porres and St. Rose of Lima. The trip concluded with a tour of parishes run by the society around Lima. One group went to Carabaillo with Father Joe Martin, a native of Somerville who has been in the missions for over 40 years. 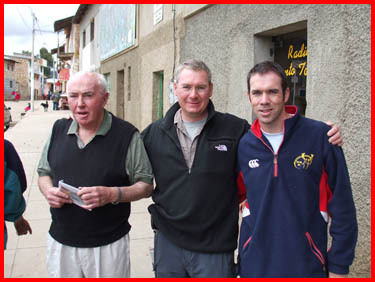 The second group went to Via Salvador with Father John O’Leary, a native of Ireland. 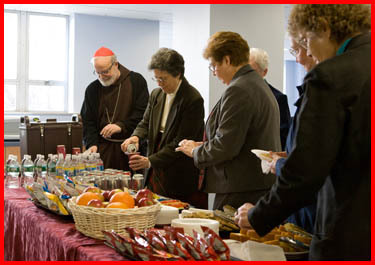 They visited a newly constructed church, which was mainly funded through the generosity of Immaculate Conception Parish in Easthampton, Massachusetts in the Springfield Diocese. 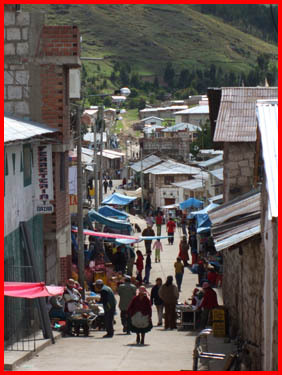 The area surrounding the parish is very poor, and the society has done much to help the people in their care. 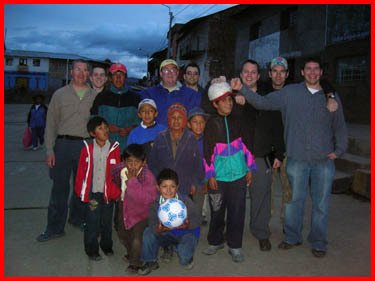 During these visits, we were encouraged by the love and respect that the Peruvians have for the Church. 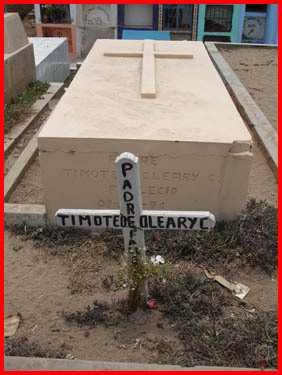 One of our last stops in Peru allowed us to pray at the grave of Father Timothy O’Leary, a priest of Boston and former faculty member at St. John’s Seminary passed away during his time of missionary work with the society. 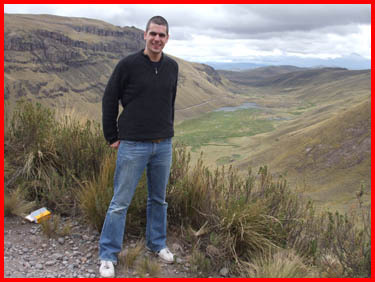 This experience of the Church in Peru provided us with a clear understanding of the importance of missionary activity. Many of the seminarians mentioned that this trip opened them to the possibility of doing missionary work, and gave them a deeper appreciation for the richness and universality of our Catholic faith.